• The fourteenth volume of the Leeds Symposium on Food History ‘Food and Society’ series •The theme is the ways we cooked our food since medieval times.David Eveleigh discusses the rise of the kitchen range, from the 19th-century coal-fired monsters to the electric and gas cookers of the early 20th century.Ivan Day, in two essays, talks about techniques of roasting. In the first he tells of the ox roast; in the second he traces the history of the clockwork spit. Peter Brears gives an account of roasting, specifically the ‘baron of beef’, in early modern royal palaces. Laura Mason tells of the English reliance on yeast as a raising agent in baked goods; and Susan McClellan Plaisted gives an account of running a masonry wood-fired oven. The book is generously illustrated with photographs and early prints and engraving. PETER BREARS was formerly Director of Leeds City Museums. He wrote Cooking and Dining in Medieval England. 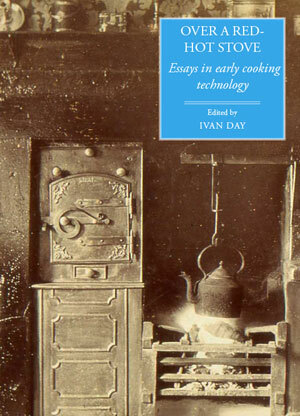 IVAN DAY is a food historian and cook whose work has been exhibited widely here and abroad. He regularly contributes to TV and radio shows about food history. DAVID EVELEIGH is the director of the Black Country Museum and author of Old Kitchen Implements, Privies and Water Closets and The Victorian Farmer. LAURA MASON is a food historian. Her publications include The Taste of Britain, Sugar Plums and Sherbet and Farmhouse Cookery. SUSAN McCLELLAN PLAISTED is director of foodways at Pennsbury Manor, the recreated home of William Penn, the founder of Philadelphia. I have many books about historic cooking techniques and equipment, I rate this title among the best. The book is in distinct but complimentary sections; each giving what amounts to a lecture text, but a very interesting, well researched and (importantly) well referenced lecture. If, for personal interest or academic research, you want accurate information about roasting etc. from respected historians, this book is likely to provide a significant amount of the required matter and refer you to good sources for any more you need.